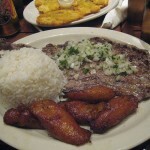 Everybody knows that the Caribbean country, Cuba is an excellent destination for the lovers of beach holidays. The country is abundant in gorgeous beaches and exotic islands surrounding it. Varadero, Cayo Coco, Cayo Largo, Cayo Santa Maria, Holguin and Guardalavaca are just some of the most popular resorts of Cuba. 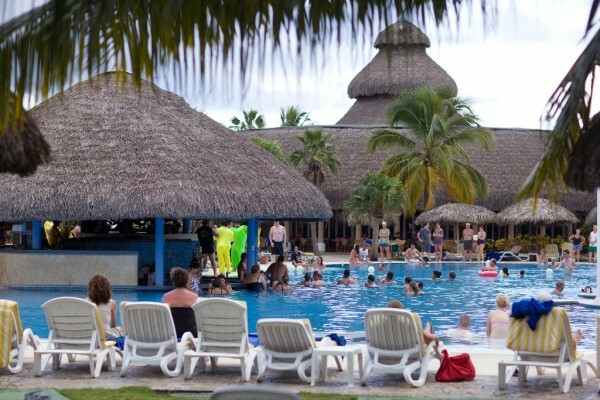 As the country (especially these resorts) is very developed in terms of tourism, it is obvious that Cuba offers excellent five-star, All Inclusive resorts for its tourists. In case you would like to have part of exclusive services and unique experiences, choose one of the best beach resorts in Cuba. Staying at an inclusive beach resort will surely make your Cuban vacation unforgettable. The Melia group is present all over the country. One of its most popular resorts can be found on the island of Cayo Coco. The fantastic Melia Cayo Coco offers exclusive accommodation in its bungalow-style resort. Set among beautiful gardens, the resort is an excellent choice for couples and honeymooners. It is not recommended for families. The 250 rooms, 4 restaurants, 5 bars, a beauty salon and a medical centre are housed in over 50 buildings. A fantastic pool also awaits the visitors. All the rooms are comfortable and offer excellent services and facilities. If your destination is Cayo Coco, I suggest you to choose this fantastic beach resort. Holguin’s best beach resort is with no doubt the fantastic Paradisus Rio de Oro Resort & Spa. Located on Playa Esmeralda, the resort offers excellent services and activities, including snorkeling and scuba diving due to its proximity to a wonderful coral reef. The resort includes more than 350 comfortable rooms, 5 restaurants, 5 bars, a fitness centre, a beauty salon, spa services, Jacuzzi, a swimming pool and other facilities. This fantastic All Inclusive resort is with no doubt the best choice if you spend your vacation in Holguin. 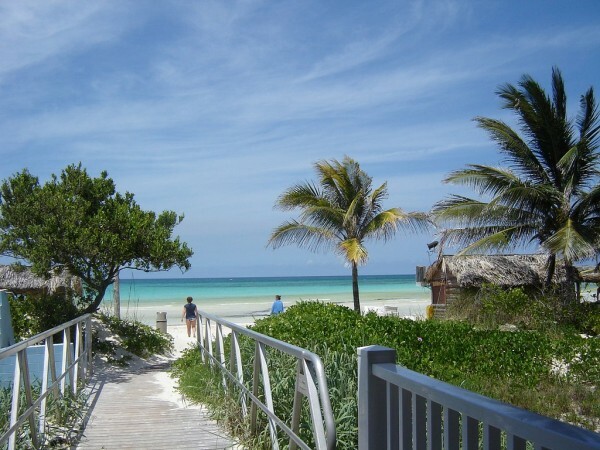 Varadero is one of the most popular beach resorts of Cuba. 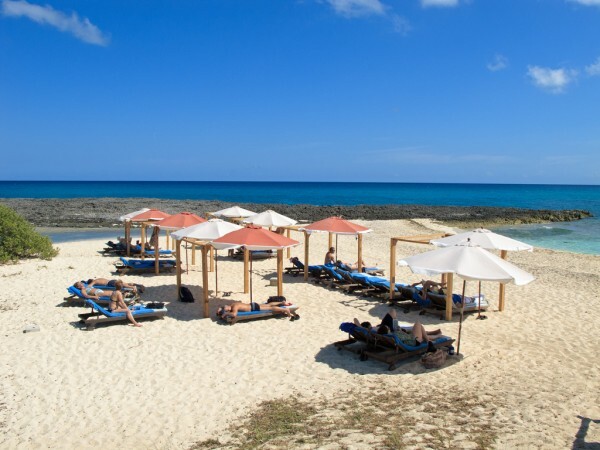 With an excellent, 20 km long white sandy beach, the resort is extremely attractive for tourists. 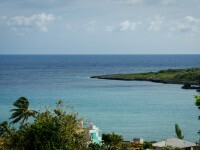 Besides, there are numerous things to see in the proximity and Varadero also offers great outdoor activities. 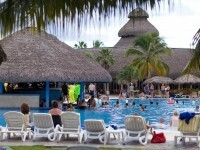 Perhaps the best beach resort here is the famous Iberostar Varadero. It offers 386 excellent rooms, a large number of 11 swimming pools, 4 restaurants, 7 bars, Jacuzzi, spa services, Kids Club and other fantastic facilities. 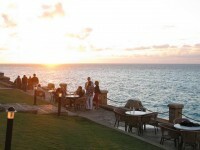 The resort is recommended for couples, honeymooners and families at the same time. If you decide to stay at this hotel, you won’t regret it. Another great resort of the Iberostar group is the fantastic Iberostar Ensenachos on the island of Cayo Santa Maria. The beach resort includes more than 500 rooms, 4 restaurant, 9 bars, 3 pools and numerous further facilities. Having a gorgeous setting, the resort is very attractive for tourists. Offering several outdoor activities, it is recommended for families, couples and honeymooners at the same time.